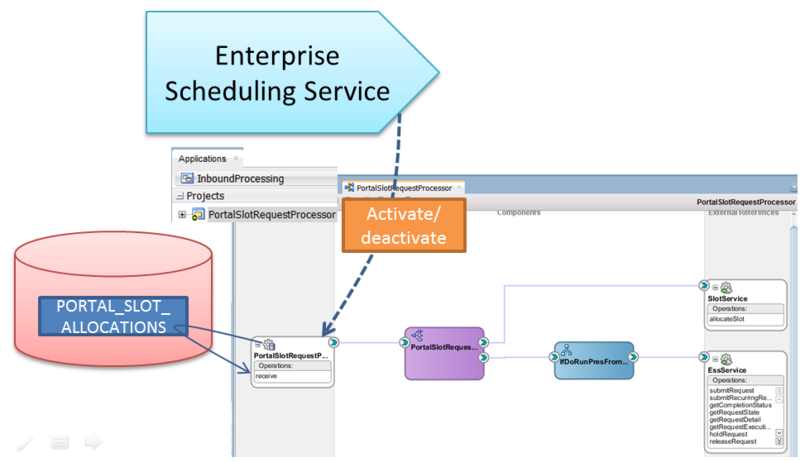 The Enterprise Scheduler Service supports a number of administration activities around the SOA Suite. Although we will discuss administration in more detail in Part 6, we will look at one particular use case regarding environment management using the ESS. 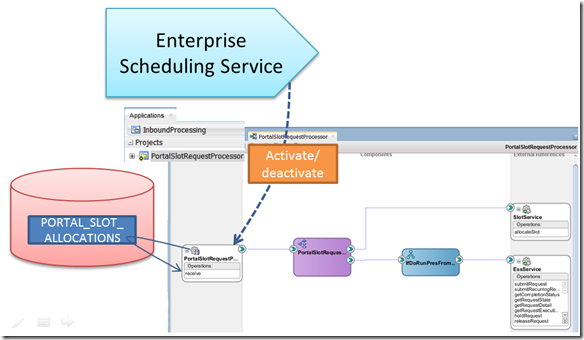 In the previous chapter, we introduced the inbound database adapter. We have created the PortalSlotRequestProcessor SOA composite that uses a database poller looking for new records in table PORTAL_SLOT_ALLOCATIONS. The polling frequency was set to once every 20 seconds. And that goes on and on for as long as the SOA composite remains deployed and active.